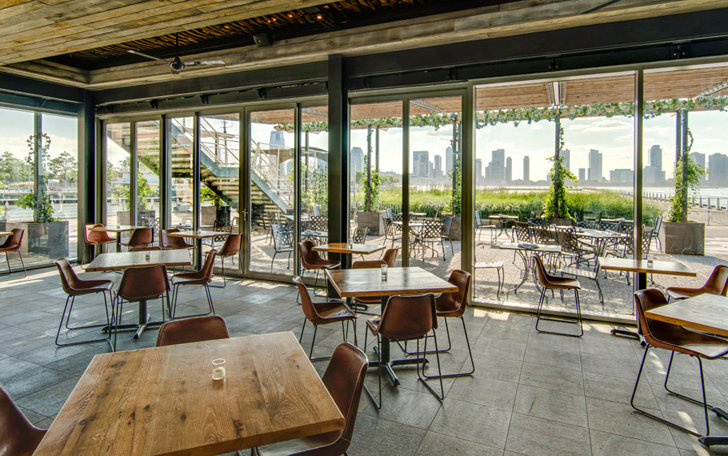 Located in the Tribeca area of NYC this new Indoor/Outdoor "Wine Garden" is the perfect place to wine and dine. 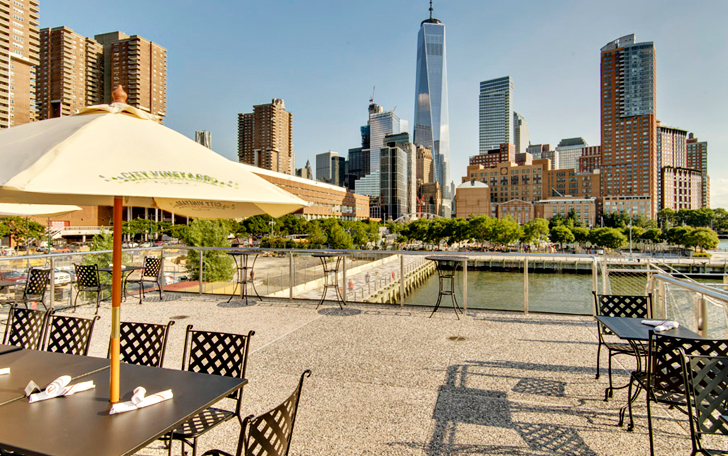 It features a restaurant, huge terrace and rooftop cafe with breathtaking views of the Hudson River. 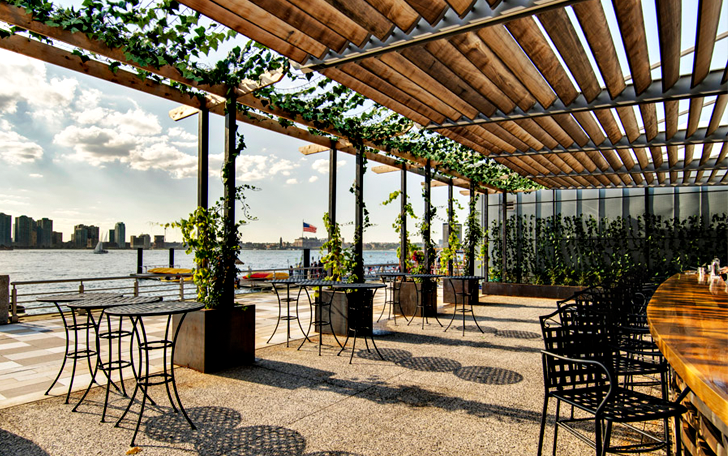 Vines were used as part of the design to make it feel like a wine garden in the park and it is simply spectacular. 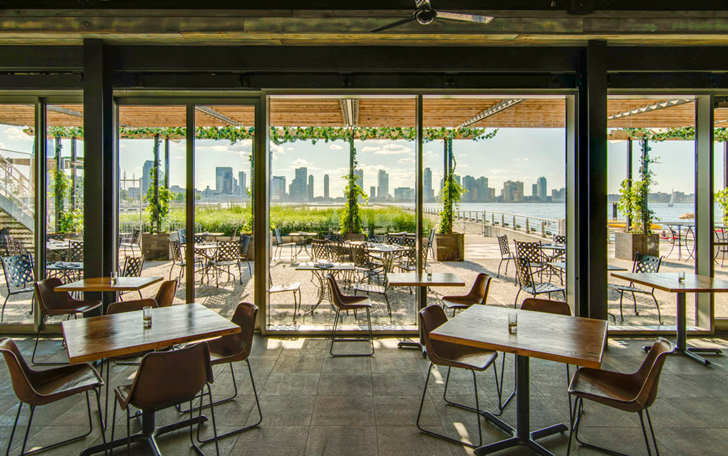 They have an extensive wine list along with wines on tap while offering a food menu to complement drinking. Definitely a spot to check out!